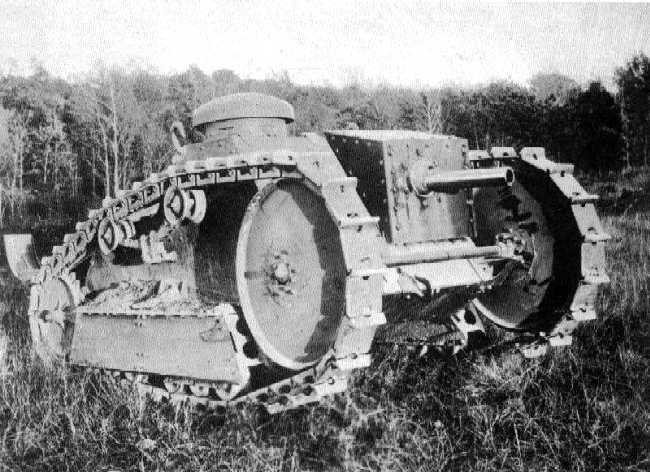 The USA Ford Three Ton Tank was a support tank for the Us Army fielding British and French tanks during World War I. It initially received an order for 15000 but was cancelled during the Armistice and only 15 were built. It was intended to be a machine gun carrier as well as cargo carrier. The heart or rather engine of the vehicle were two Ford T car engines. The driver sat in the centre, the engines behind him and the gunner in front. One vehicle did make it to the trenches of World War I for field testing.